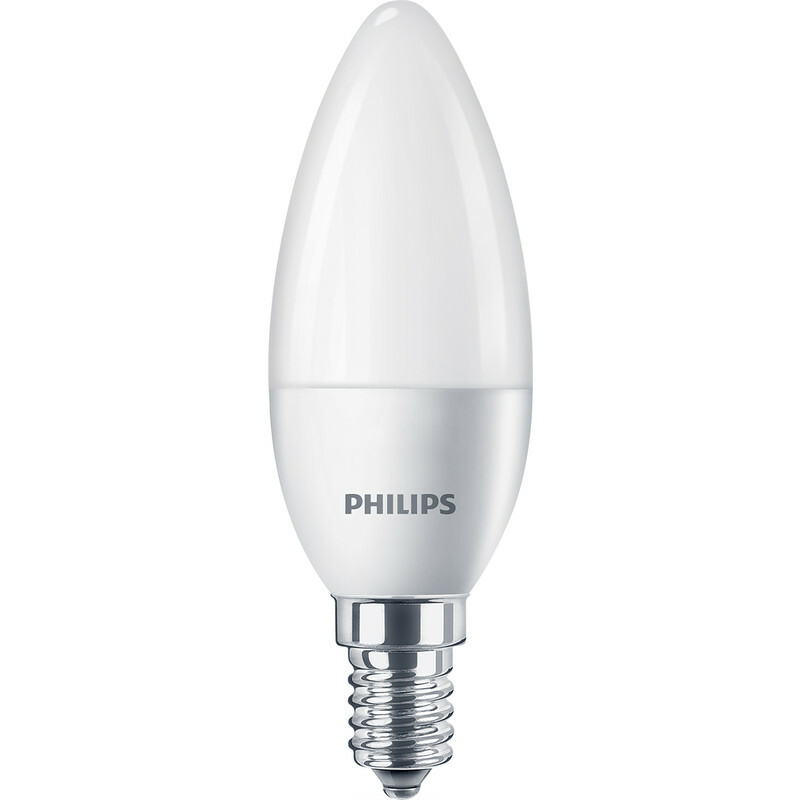 Philips LED Frosted Candle Lamp 5.5W SES (E14) 470lm is rated 5.0 out of 5 by 3. Rated 5 out of 5 by Rottidog from Better safe than cheap! I tried to save money with some cheaper LED candle bulbs from an online marketplace but one immediatelyfused the entire lighting ring and another smoked so lesson learned and it is best to pay a bit more for a reliable brand. These were a very good price for the brand and should last well. Rated 5 out of 5 by Kanbob from Great for the money When I bought a cheaper , non branded LED bulb in the past , it didn't last more than 18 months. The Philips isn't the cheapest bulb out there but it looks and feels well made. The lumens are good for what I need and I thought the price was reasonable - I only bought one so an internet purchase from other companies would have added postage and packing. Rated 5 out of 5 by Trousers from Quality in a small package .. A considerable improvement at a most reasonable price.